Vallejo Pigments are useful for creating natural looking weathering and general erosion of scenery and vehicles. Combine with pigment medium or pigment binder (for a longer drying time) in order to apply. The Vallejo Pigment range contains several natural earth tones and oxides to simulate mud, rust, smoke and dust. 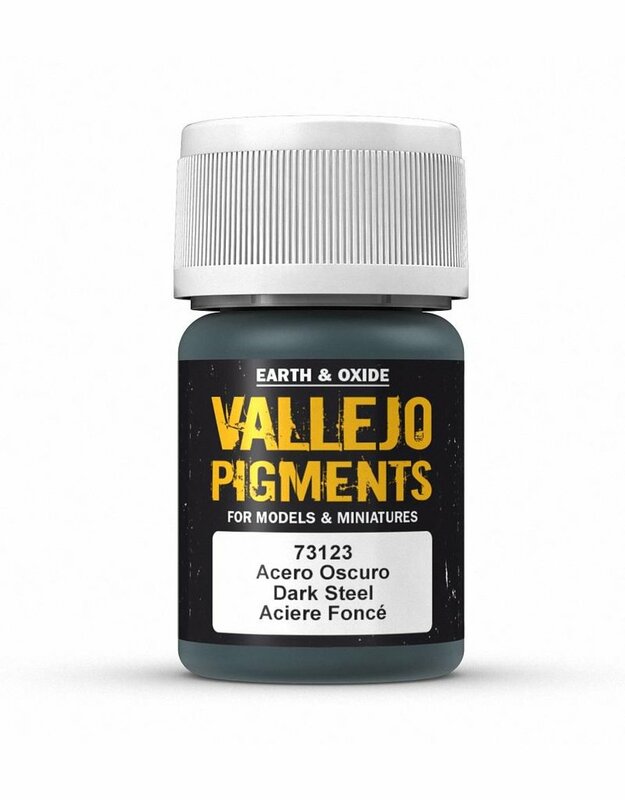 Vallejo pigments are versatile, and can be combined with Vallejo's Diorama products (such as their Transparent Water or Sandy paste) in order to create different special effects, that really set the scene. Bottle features child-resistant cap, and minimises chance of accidental spillage.